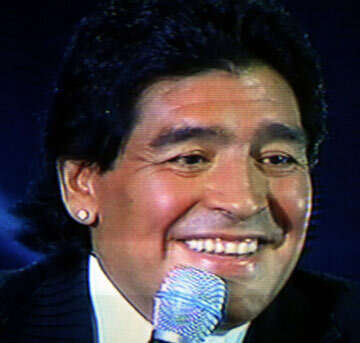 Maradona, a global football legend in his own right, told a news conference in the Buenos Aires suburb of Ezeiza that the 21-year-old Messi still has plenty of time to be picked the best player in the world. "I got the Ballon d'Or at 26. Messi has a lot more time. Let him remain calm, because he is going to get lots of golden balls," he said. For the second consecutive year, Lionel Messi was named the second-best player in the 2008 season. In 2007, he came second to Brazilian Kaka. Maradona, just back from a European tour during which he met with Argentine players and their club coaches, confirmed that he reached an agreement with Barcelona in order to be able to field Messi in a February 11 friendly with France n Marseille.